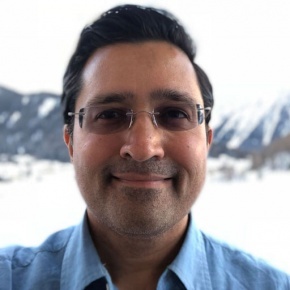 Ajay is a Founding Partner at Happiness Ventures - a venture fund that invests in technology companies lead by entrepreneurs who have a passion and mission to make the world a happier place. With $480mm under management, the fund group concentrates on both early stage (Seed and Series A) start-ups and growth stage companies. Happiness Ventures invests with a long-term view and supports our startups throughout their entire lifecycle. Prior to Happiness Ventures, Ajay was a serial entrepreneur/co-founder/executive in 11 start-ups with 6 acquisitions and 2 IPOs. Ajay has also been an active angel investor and co-founded a successful international incubator based in Bangalore, India. Ajay is a “valley native” who grew up in the silicon valley. Ajay also volunteers and mentors various youth programs helping develop future global leaders. Ajay is currently geeking out on AI, CV, AR, Voice, Blockchain and Crypto.